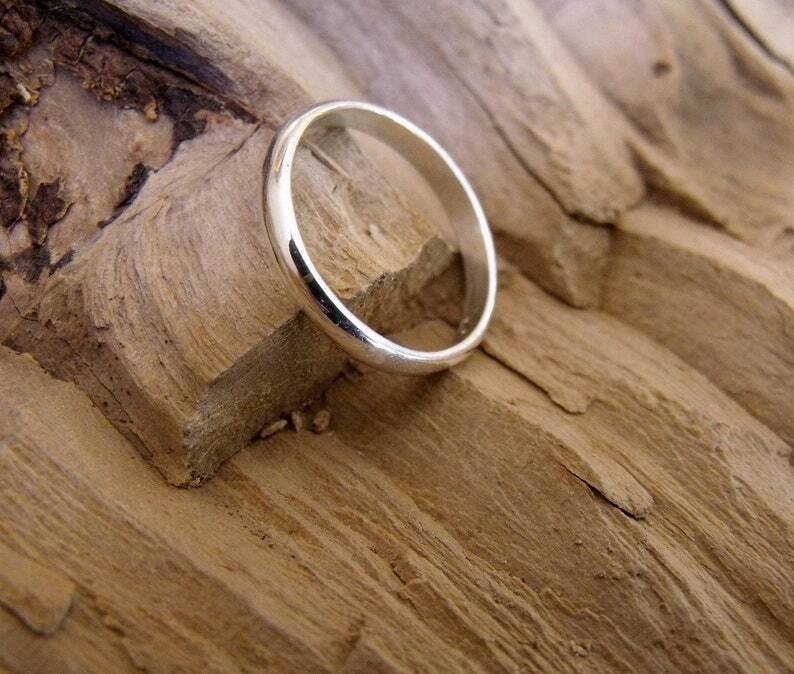 This is a handmade Sterling Silver half round band made from reclaimed Silver. It measures 2mm wide and I can make this for you in sizes from 1 to 15 in 1/4 and 1/2 sizes. If you would like this ring to be thinner just let me know. Please tell me the size you would like when you purchase this ring. These are great for stacking. Love my ring. This is my second silver band and the craftsmanship is remarkable. Very well made and great quality. Fast shipping.